See which members of your team are superstars! Invite one employee: (You can invite others later.) You can invite others later. Create custom reports. View screenshots, time logs and more. Time Doctor makes it easy to see how your workers are spending their time - are they working on the job or wasting time on Facebook? 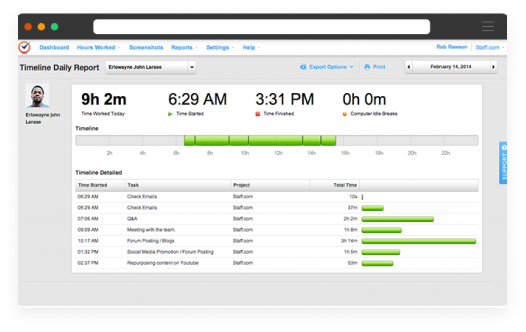 Customizable reports show you individual time logs, screenshots, and more. Create aggregate reports to see which tasks and projects are taking the most time. Use Time Doctor to calculate payroll for teams of any size, too. Our clients report an average 22% increase in productivity! Try the full-feature demo today - no credit card required. Getting up and running takes less than 3 minutes! Plus get a 14-day free trial. Signup and start your FREE trial. Configure your settings and decide which Time Doctor features you want to use. 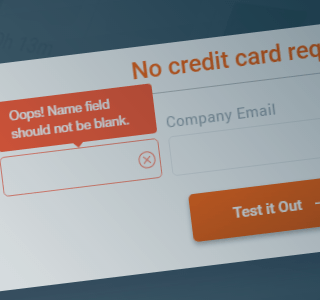 Enter email addresses of employees or import them using one of our integrations. Employees get an install the software and start tracking time. See at a glance what everyone has been working on. Get summary statistics sent to your inbox daily and weekly. Employers report increases in productivity, timeliness, and workplace satisfaction. See what everyone is working on at a glance. Get a daily summry in your inbox. Identify the tasks that are slowing your team down. Debottleneck your team. No more manual time sheets. Track time automatically and send hours to payroll. Bill for all yours. Give clients detailed time breakdowns. Time tracking instantly improves employee's focus and productivity. As soon as Time Doctor is installed, they log in on time and stay off Facebook - you don't need to say a word. time-wasting websites. Daily time reports show employees their metrics for the day so they can self-correct. Dashboards show supervisors at a glance who's a superstar and who's slacking off. 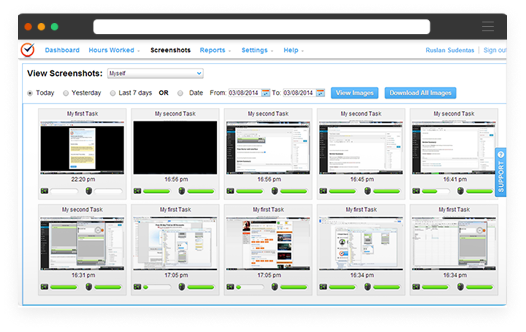 Syncs with all your project management, communications, and accounting software. With Time Doctor, We saw a positive ROI our first month. Using Time Doctor allows us to accurately bill our clients. How much time will it take to use Time Doctor? The initial set up will take around 10 minutes for the admin and 3-5 minutes for the users of the software plus a few minutes to watch training videos. After that it takes very little time each day (a few minutes). Can Time Doctor monitor the websites that I or my team visit? Yes. Time Doctor's reports will give you detailed insights into which websites are being used and for how long. You can access these reports online, and can also receive them weekly by email. All communication to the server is secured by SSL encryption. The files on the server are encrypted to provide an extra level of security for company data. The servers are located in secure enterprise data center facilities with 24/7 monitoring and hosting support. Time Doctor desktop application runs smoothly on MAC OS 10.7 and above, most Linux OS versions, all Windows computers with Windows Vista or later and we even have a version which works in Chromium OS. There is also a web component which works in all the latest browsers (IE, Firefox, Safari, Chrome). Yes Time Doctor tracks work even when not connected to the Internet. The data will be uploaded to the Internet when the Internet connection is restored. The software does not monitor anything on someone's computer when they're on a break or when they're not working. So even people working from home can be comfortable knowing that they are not being monitored during their own time. Our position on privacy is that a company has the right to know what employees are doing during work hours, and have no right at all to know what they're doing during breaks or after working. How can I use Time Doctor to ensure that my team is working productively? 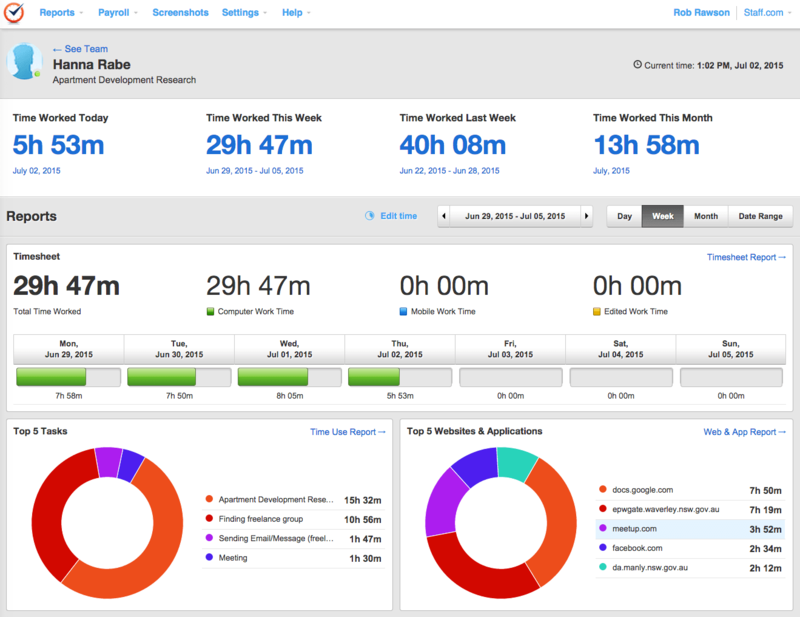 Time Doctor tracks the websites and applications used while people are working. Managers can receive a report with this information. Managers can also receive a report listing potentially "poor-time-use" websites such as Facebook, and how long they were used. Time Doctor can also take screenshots of your employees' computers while they're working (this is an optional feature). The process of reviewing these screenshots is extremely quick for a management or HR person. The software also tracks keyboard & mouse activity so you'll know if people are using their computers when they say they are. 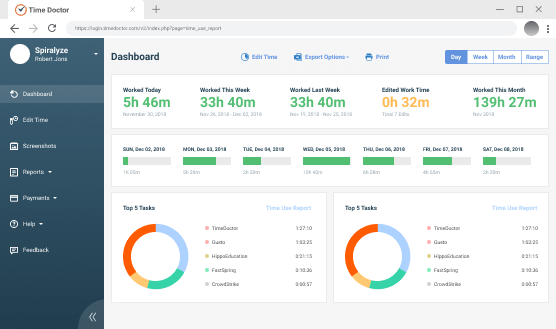 Time Doctor also provides various online and email reports to management which provide additional information on how time is spent in your business. Absolutely. About 20% of the benefits of the software come from the monitoring features. The other 80% come from empowering your staff to manage their own time more effectively, and from providing you with higher-level insights into how time is spent in your organization. These insights will enable to you improve processes in your business so that it runs more efficiently. For example one major benefit is the ability to know not only which specific tasks your employees are working on, but also how much time is being spent on which projects/clients across your company. This allows for better future allocation of time, improves communication with your team, reduces the time spent in unnecessary meetings and a host of other benefits. Absolutely. 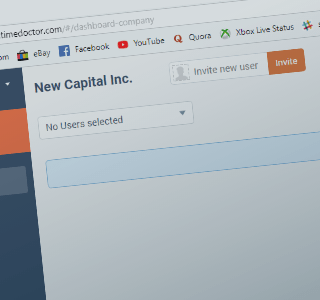 Although some of Time Doctor's features are only relevant to teams and not individual users, many individual users do use Time Doctor manage their own time more effectively. Time Doctor will help you to know how long you're spending on which tasks, and stay focused on what you should be working on. You might. The software requires change in behavior and it will become immediately obvious when people are wasting time. Some of your team may not like it and may resist it. Generally the hardest working and most productive people on your team will accept it because they can see the benefits it will provide to their productivity. Team members whom are keen to use this software to work from home, or to work flexible hours will also welcome the software. Do you have mobile applications for tracking time? We have an iPhone app and an Android app. Most of the benefits of the software come from using the desktop version of the app. However the mobile apps are useful for people who need to track time away from their computers, or want to edit/review their task lists on their phone. How do I use Time Doctor to see what my employees are doing? 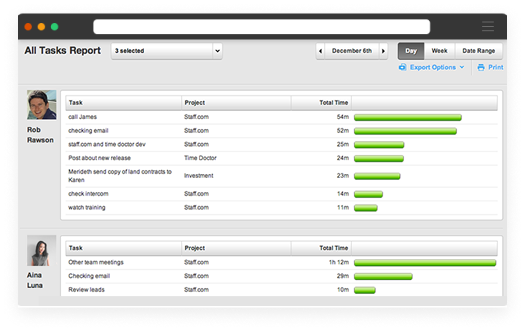 Task & Project Reports - These reports will show you which tasks & projects your people have worked on, and for how long. You can view these reports by logging into your Time Doctor account online, or you can receive these reports by email. 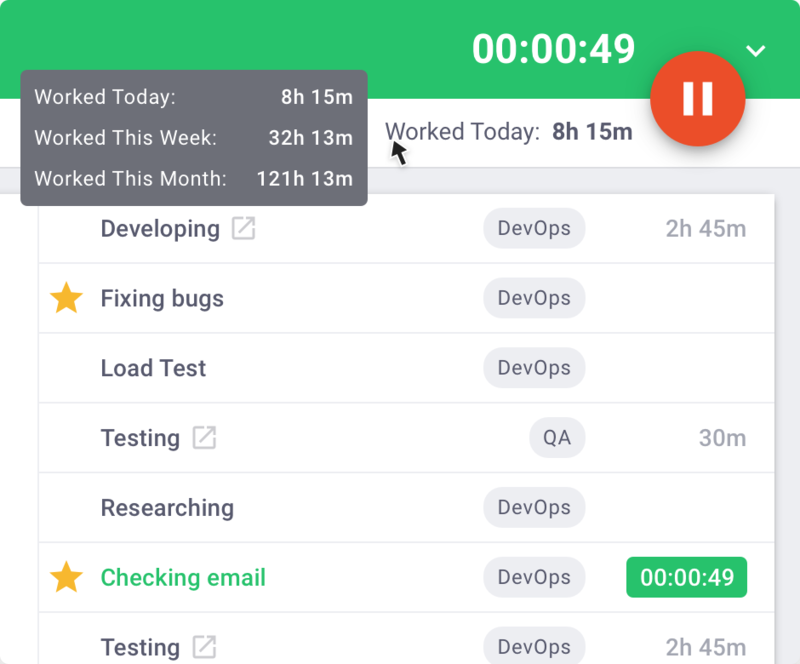 Screenshots (optional feature) - You can set up Time Doctor to take screenshots of your employees computers and a time interval of your choice. Other Reports - Time Doctor has a variety of useful reports. One popular report is the "Websites and applications used" report - This report will show you how long your employees spent using which websites & applications while working. You can view this report online at anytime, or can choose to receive this report weekly by email. Time Doctor tracks time in REAL TIME - After you've finished working, it's difficult to remember accurately how much time you spent on which tasks. With Time Doctor, you don't need to remember anything, because the time is tracked as you're working. Time Doctor reminds you to track time - Other applications don't have reminders, so users often forget to start tracking their time. Time Doctor also reminds users to stop tracking their time if they visit website that may not be work related (like Facebook). Time Doctor automatically stops tracking time when you leave the computer - If time tracking doesn't automatically stop when you go on a break, you'll often forget when your break began and your tracked hours won't be accurate. 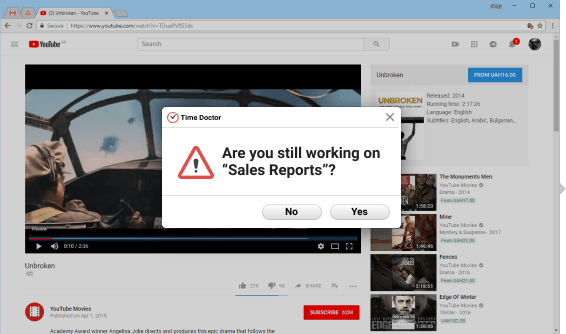 Time Doctor stops tracking work time when there's been no keyboard or mouse activity for a while, and can give users the option to indicate afterwards whether or not they were working during that time. Time Doctor has multiple methods to confirm if the time tracked was real work - These methods include screenshots taken at regular intervals, levels of keyboard & mouse activity, and which websites & applications are used. Time Doctor does not allow you to "double book" your time - In other words when you allocate time to 1-3pm you can't allocate a second activity to that same time slot. It seems incredible but most time tracking applications allow users to apply overlapping activities to the same time slot. Get reports that show you everything about how your team works. 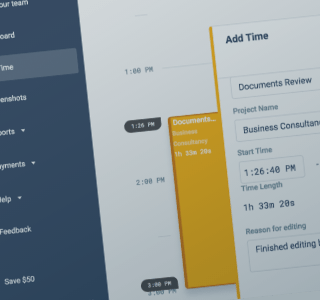 View time logs and screenshots for individual employees, or zoom out and see the time and resources spent on specific projects, tasks, or clients. Customize each report to show you the data you want. 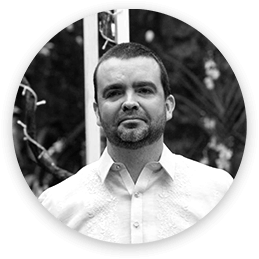 "By using Time Doctor, we were able to increase our profitability by 30%." 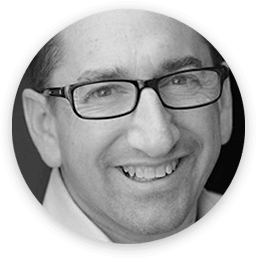 Prior to using Time Doctor, Nik was forced to run through a series of spreadsheets, project tools, bank statements, invoicing statements just to ensure that his employees and contractors were getting paid the right amount. "Time Doctor really helped us to track what this person was doing." Without Time Doctor, it would be hard for us to track how many hours [our remote employees] are working. Time Doctor helps us make sure that the content writers are working the full 40 hours. Do you manage other people? Do you think your people could be more productive? Do you think you could work more productively? Do you want to try it with a free account? 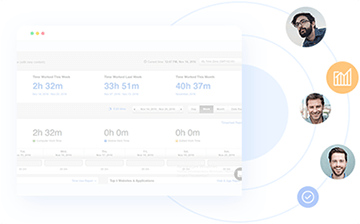 Time Doctor will show you exactly how time is spent in your company and boost productivity. INVITE YOUR TEAM and see how time is spent. it will work for you. Would you like to demo Time Doctor? Hmm! You've already been invited. 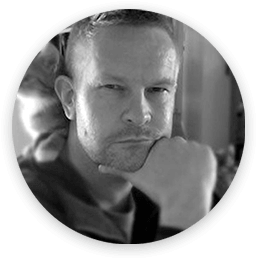 We can see that you have already been invited by Rob Rawson (rob.rawson@gmail.com) to join his/her company's Time Doctor account. Would you like to accept the invitation to join their account? YES, I'd like to join that company's account. NO, I want to create my own account instead.